They often say that familiarity breeds contempt, and the same can be said about your blog. While it may have performed well for much of its life, the truth is that people have short attention spans and are always looking for something new. While they might not completely abandon your blog, they might start to snoop at what some of your competitors are doing and taking their dollars along with them. However, there are a few things anybody can do to give their blog a second life and take it to the next level. 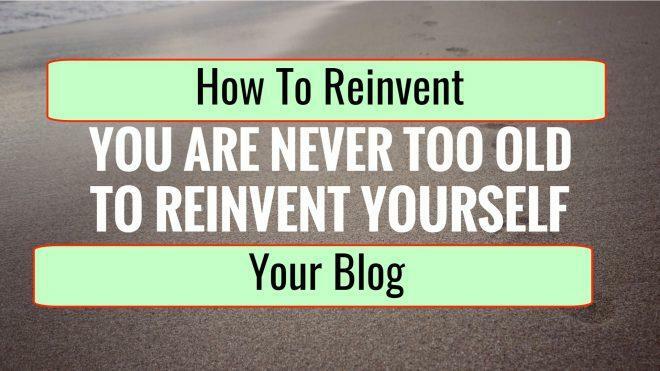 Here are a few creative ways you could reinvent your blog. If you’re using WordPress, one great thing is that you can completely change the face of your blog in just a few clicks. Changing your Wordpress theme could give your site a whole different look and make it stand out. The best thing about changing your theme is that you may not even need a programmer to get the job done for you. Changing your theme can be done in seconds and anyone with just a little bit of knowledge of how WordPress themes work can install one. However, try to steer clear from free themes and pay a little more for a premium theme instead. Premium themes can cost from a few tens to a few hundred dollars. But if you run a simple blog, you could go to a site like ThemeForest.net and get a fresh new theme for under 100 dollars. You could also use the occasion to introduce new categories and broaden your options as far as subjects go. If you have a blog on photography, then you could add a section on videography or video marketing as well to attract a wider audience. One perfect example of this is what the Wall Street Journal did with their blog, which started covering subjects like politics and even fashion to increase their audience base and reach a whole different demographic. If you don’t post interviews on your blog, then you aren’t taking advantage of how powerful they can be as marketing tools. Interviewing people in your field of expertise is a great way to provide fresh and interesting content to your audience. Starting a video interview series could be a great way to keep your readers interested, and you can also use these interviews to attract new visitors to your blog through various video platforms. They’re an easy and free source of content as well, not to mention the valuable relationships you could form as a result. Some people swear by long form posts, and pretty much everybody has their own little theory as to what works best. The truth is that there is no one-size-fits-all structure or length for blogs and many things may affect which format will work better. Maybe long form posts aren’t the best for your audience after all. If you’re noticing a drop in interest, you should consider breaking your posts up with more images or even animated gifs to make them more digestible. In some cases, less can actually be more, and you might be able to better catch your audience’s attention with smaller, more visually based pieces. Try to test various formats and see how they perform. And try different formats at different times of the day as well, since it can have a big difference on how your posts will be received and your audience’s level of engagement. Another thing you could do is completely change the tone that you’re using in your post. If you are more used to a straight to the point, informational approach, you could try to go for a little bit of shock or humor. While you risk alienating a small part of your original audience, people might actually love your new tone. Check how much participation you get and take a look at the comments. If you notice more enthusiasm and positive comments from your audience, then you may have found the perfect recipe for your posts. If you haven’t considered letting guest bloggers post, then you should at least consider the option if you want to spark new interest in your blog. Inviting guest bloggers who might be related to your niche can be a great way to bring a fresh new voice to your blog and gain traction from their own followers. With guest posts, you get free content, access to a whole new audience, and you can establish your blog as an even more solid resource. However, you have to make sure that you’re selective and approach the right kind of posters for your blog. At the end of the day, you’ll have to be able to back their word as well, and you’ll eventually get the blame for any misinformation they might post, so be aware of that. A podcast is another great way to reach a new audience and bring your followers closer to you. People just have a completely different relationship with the spoken word, and in many ways, people will start to feel like they genuinely have a personal relationship with you through your podcast. This is also a great occasion to interview some of the leaders in your field and get attention from their followers as well. Starting a video blog could also be a great way to diversify your content and allow your readers to have a more direct link with you. And you could even add an interactive component to your video blogs and use your audience as a sort of focus group before thinking of rolling out new products or making changes to your current ones. If you want to give your blog a facelift and keep your readers’ interest, we strongly suggest you implement some of the techniques in this article. This will not only allow you to maintain your current audience, but attract tons of new visitors as well and spark new interest in your blog.